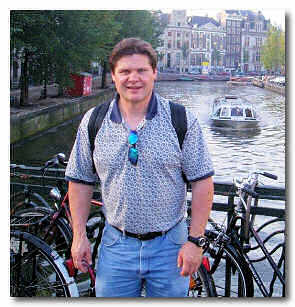 Mike Duffy is a church planter with Christar in Den Haag (The Hague), Netherlands (Holland). Mike’s main strategy targets people from Dutch Surinam: Hindus who have migrated to Holland. There is a large community in The Hague and the new church is growing, slowly but surely, as the Holy Spirit directs. Mike reaches out to all others he meets in his daily work, and is part of a team working together to carry out the Great Commission.